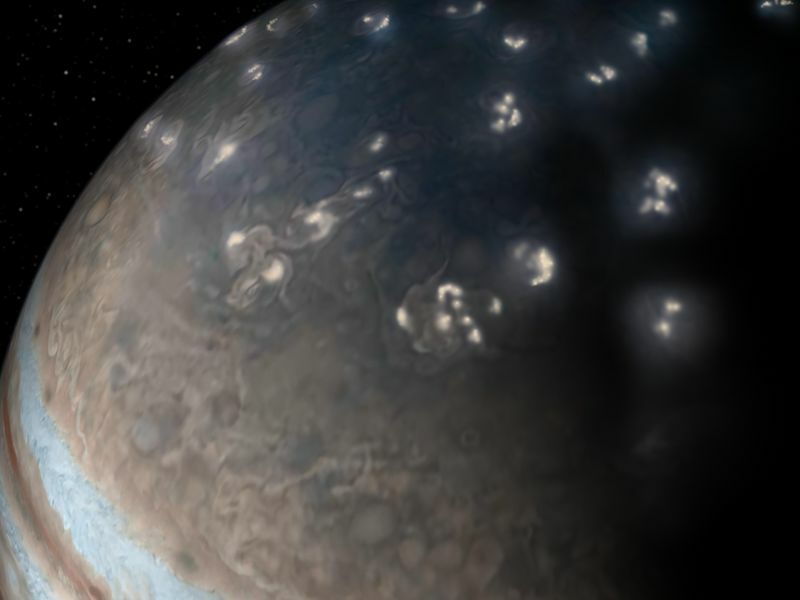 This artist’s concept of lightning distribution in Jupiter’s northern hemisphere incorporates a JunoCam image with artistic embellishments. Data from NASA’s Juno mission indicates that most of the lightning activity on Jupiter is near its poles. Jupiter has enormous lightning-filled storms, and NASA's Juno mission to Jupiter will (among many other things) help us understand how deep into this cloud-covered planet the storms go.